Homeschool.com is the number one site for homeschooling. 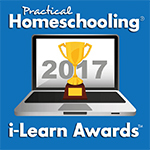 Homeschool.com has included VocabularySpellingCity.com on their list of Top 100 Educational Websites for homeschooling in 2018 and every year since 2009. VocabularySpellingCity has been a finalist in 2018, 2017, and 2016 for the SIIA CODiE Award in the “Best Game-Based Curriculum Solution” category. Science4Us is a winner in the 2016 SIIA CODiE Award “Best Science Instructional Solution” category. The SIIA CODiE Awards are the premier awards for the software and information industries, and have been recognizing product excellence for more than 30 years. VocabularySpellingCity is tied for this first place award, as an interactive product with selection based on the highest rankings from satisfied homeschool users. VocabularySpellingCity is an approved app by KinderTown, which finds and reviews the best educational apps for kids ages 3-8 years old. KinderTown’s mission is to improve early childhood education by empowering parents with the tools to be better teachers. VocabularySpellingCity was a finalist in the 2013 EdTech Digest Awards Recognition Program for the Cool Tool Award. Cool Tool awards recognize new, emerging and established technology solutions for education. VocabularySpellingCity was singled out by the readers and visitors of eSchool Media’s various publications, websites and email newsletters. These readers and visitors who nominated and voted for VocabularySpellingCity to receive this honor include school district and university administrators. As a token of appreciation for being a featured review, VocabularySpellingCity received a ‘stamp of our approval’ from Teaching Blog Addict, the #1 ranked teaching blog on the web. The National Parenting Center’s Seal of Approval program is an independent testing procedure conducted to judge a variety of products introduced and marketed to the parent/child consumer market. The iParenting Media Awards, which is a Disney Interactive Media Group Property, provides a credible and objective method of determining outstanding products in the marketplace and honoring them with their consumer award. This is accomplished by a thorough product evaluation process that includes careful review by parents, experts, licensed childcare centers, and schools nationwide. VocabularySpellingCity was selected as a winner of this prestigious award. VocabularySpellingCity.com was selected by TechAmerica as the winner of the 2009 Abacus Cool Tech Award. The Abacus Cool Tech Award is presented to the company that has developed, and/or introduced a cool product within the past 18 months which is innovative and has created significant new opportunities for the company. VocabularySpellingCity was the single winner out of 12 finalists for this recognition. The Teachers’ Choice Awards honor products of exceptional quality and outstanding performance in the classroom and at home! VocabularySpellingCity has been selected by Learning Magazine® as a 7th Annual Teachers’ Choice Award for the Family Winner! The Teachers’ Choice Awards honor products of exceptional quality and outstanding performance in the classroom and at home! VocabularySpellingCity has been selected by Learning Magazine® as a 16th Annual Teachers’ Choice Award for the Classroom Winner! The Parents’ Choice Foundation, the nation’s leading experts on quality childrens’ media and toys, recently selected the VocabularySpellingCity.com website as a Parents’ Choice Recommended Award. The Distinguished Achievement Awards (DAAs) recognize the year’s top educational products. VocabularySpellingCity has been recognized as one of the four finalists in the Curriculum – Teaching Aides category. The Golden Lamp Awards are one of educational publishing’s longest-running and most prestigious traditions. VocabularySpellingCity has been recognized as one of the four finalists in the Technology Innovations category. VocabularySpellingCity.com has been selected for inclusion in the American Library Association’s Great Web Sites for Kids. Great Web Sites for Kids are those considered the best web sites for ages birth to 14, outstanding in both content and conception. As applied to web sites for young people, “great” should be thought to include sites of especially commendable quality, sites that reflect and encourage young people’s interests in exemplary ways. Larry Ferlazzo picks VocabularySpellingCity as one of the Best Online Learning Games on the web. Larry Ferlazzo is a well-known language teacher and blogger about language arts and ESL websites. He provides two rankings of the best sites: for one, he ranks sites himself and the other ranking is based on his readers’ votes. On both rankings, VocabularySpellingCity.com was selected as the second most useful learning games website on the web! VocabularySpellingCity has been named a certified “Green Business” by the Uniform Standard for Green Business Certification (IGBC/USGBC) as a result of its environmentally friendly business practices and product delivery. By using the web to deliver vocabulary and spelling content, VocabularySpellingCity is helping environmentally conscious teachers and parents reduce or eliminate the need for paper teaching materials. SMART and Promethean accredit educational software and content titles based on their compatibility with their interactive whiteboards. VocabularySpellingCity has been reviewed and approved to be “Ready for Use” with both systems.